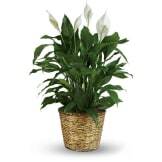 This bountiful garden of indoor plants is a warm and caring way to share your condolences. 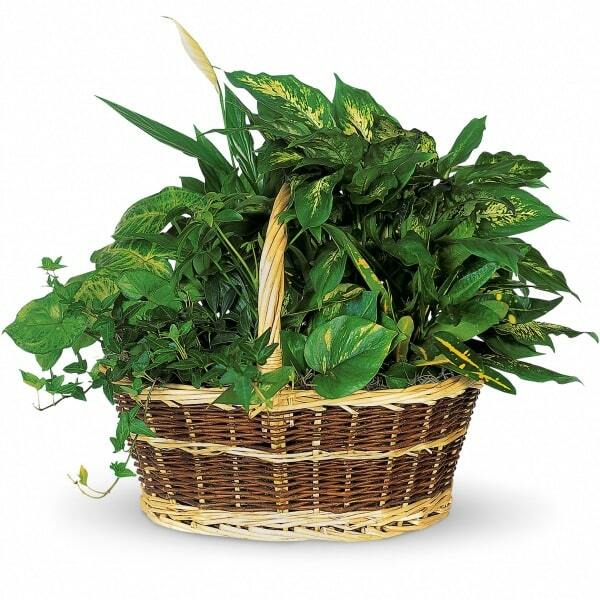 Arranged in a wicker basket, this garden is a lasting way to remember someone special. • Croton, ivy, pothos, dieffenbachia, schefflera and syngonium plants arrive together in a wicker basket with handle. • Arrangement measures approximately 19" W X 16" H.